Jewish Christmas, A Fortune Cookie, Catering Software & A Free Gift For You! This year I was fortunate enough to share Christmas with my girlfriend Denise and her family, and have her share Jewish Christmas with me Christmas night. After a long day of opening presents, breakfast and family brunch (I brought bananas Foster bread pudding), we took the free movie passes and year-long bucket of popcorn gifted us by her brother and headed out for Jewish Christmas: Chinese food and a movie. I love this cartoon I found on the internet. 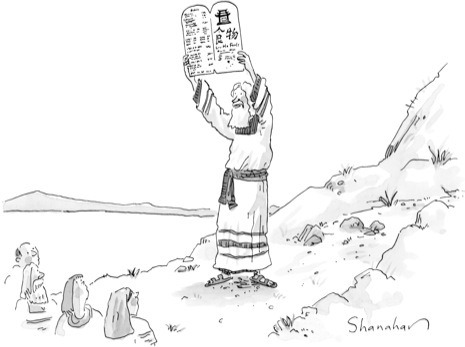 Considering just about every Jew I know eats Chinese food every Christmas and most Sundays, I wouldn’t be surprised if the first set of Ten Commandments Moses brought down from Sinai was a Chinese menu used as the numbering system in use today for all Chinese restaurants across our land. Since we were a little pressed for time, I opted to pass on the 90 minute wait at my favorite Chinese restaurant. We took some back roads and happened across a small Chinese restaurant in a strip center half way to the movie. There wasn’t a wait, usually a bad sign. Let me tell you…I felt like Jimmy Stewart in the movie “It’s A Wonderful Life” (the first part and ending). I was instantly transported to a place and time that rarely exists today. If Mayberry had a Chinese restaurant, this was it. We were greeted with a Merry Christmas, big smile and bowl of homemade honey roasted nuts. We were served by three different people, all family I’m assuming. As I was deciding between two entrees, my server offered to add the veggies I wanted to the dish I preferred…all at no extra cost. We could tell they had a great relationship with their regulars…and were about to make me drive twenty-five minutes to claim my new favorite Chinese restaurant. Stuffed, they even offered us free dessert. At the end of the meal, we each picked a fortune cookie. Mine had no fortune. I guess it’s a blessing and a curse, so I asked for another. I went home, wrote the date on the back and placed it in my tickler file. As we approach 2012, I truly believe three months from now things will be great! 1. I gift you this story of my incredible experience at this little Chinese restaurant. Here we live in the greatest country of all, and an immigrant family who probably sacrificed to get here is capitalizing on the American dream…and succeeding…with our most valuable asset…hospitality! Share it with your staff. Ultimately, it’s all about doing business with those we know, like and trust. 2. I gift you my fortune. My lucky star is bright enough to help all interested in helping themselves. Please take the time before the New Year hits, to plan what you’ll do differently. I know our lucky star will shine bright for both of us. 3. 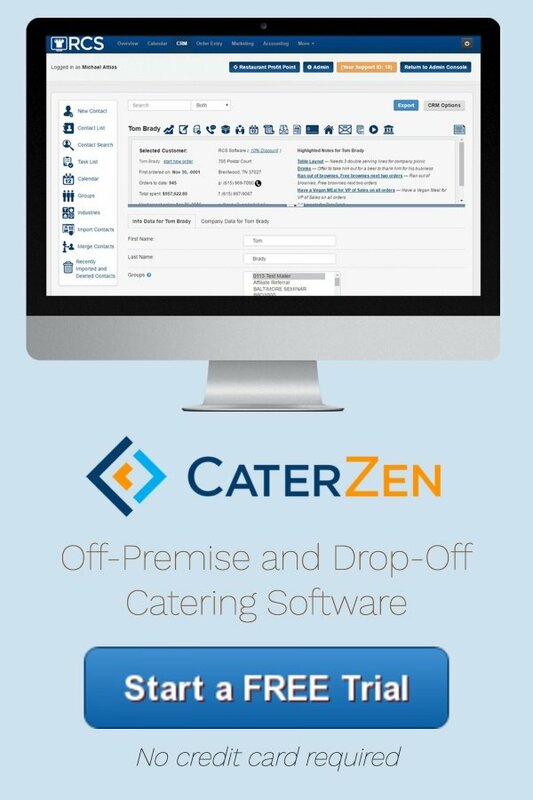 I gift you a free copy of my new eBook: “Cater or Die! 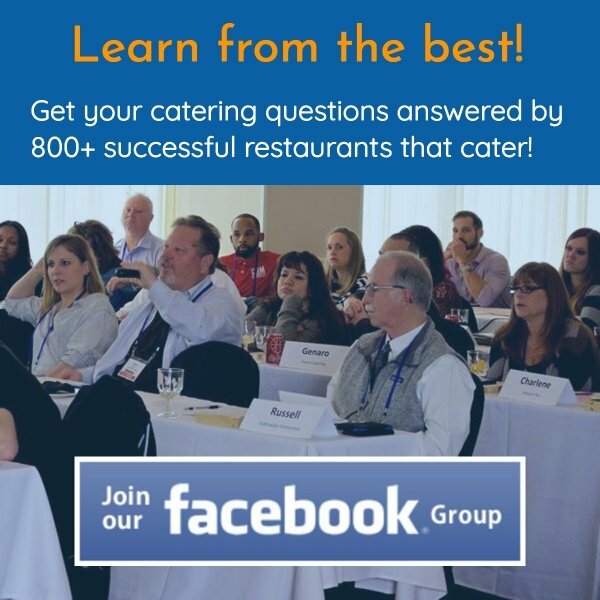 A Step-by-Step Plan For Doubling Your Catering Profits”. It’s packed with over 50 high return, low cost exhibits to help you build catering sales. Do all of the above and check back in with me in three months. Let me know how it worked. Oh…and I guess in the spirit of fortune cookies…forward this on to 10 restaurant owners you know need some good luck. And don’t worry. If you don’t, you’ll still have good luck. and a Happy, Healthy Prosperous New Year for you and yours!